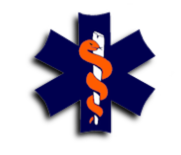 Prompt, courteous patient transfer service for non-critical medical needs. Local and long distance Ontario patient transfer to and from Ottawa, the Ottawa Valley and Eastern Ontario regions. Patient transfer attendants that are professional, highly skilled and caring. Preferred operators will do their utmost to make your transfer as safe and comfortable as possible. Your transportation needs are always the number one priority. Reliable wheelchair patient transfer in greater Ottawa region. Caring staff will assist in transferring the client to their desired destination. We can help accommodate trouble free patient transfer service throughout Ottawa Ontario, Canada and United States. Clients with limited mobility or who need to be transported by wheelchair or stretcher. Clients who request assistance on their transfer home from a hospital and/or medical appointment. Clients that have a scheduled appointment or have time restraints. Ambulance service. Non -critical bedside to bedside patient transfer in Ottawa, eastern Ontario and surrounding areas. Compassionate service.